Top Tier Specialty Lockers is a cost-effective option for schools, healthcare facilities, employee lockers, and for general use. 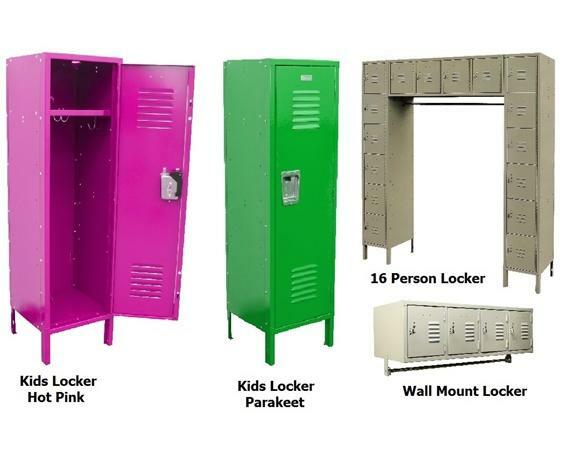 Our lockers are produced with durable 16 gauge doors and frames, 24 gauge bodies, and come standard with 6" legs. 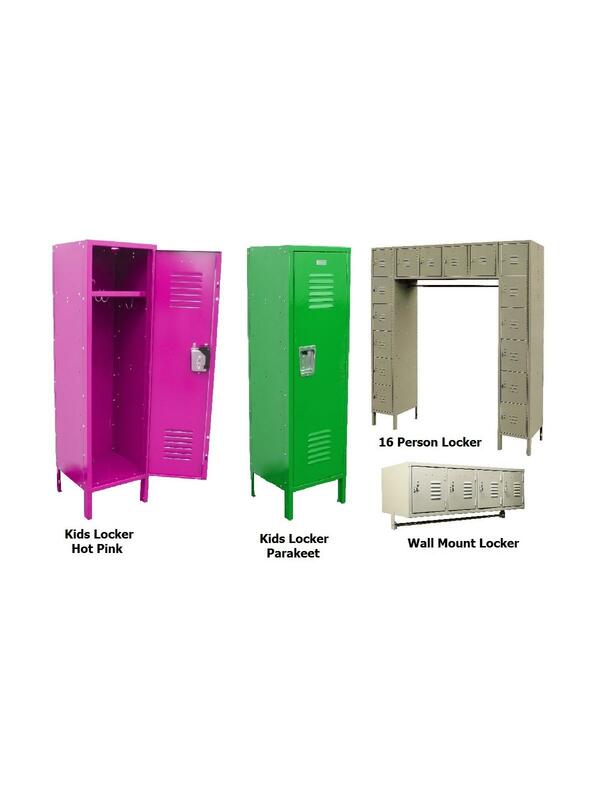 Our popular Kids locker is available in Candy Red (C), Aqua Blue (A), Mardi Gras Purple (P), Golden Yellow (Y), Carrot Orange (O), Parakeet Green (G), Hot Pink (H), and Raven Black (R). Wall Mount Locker is available in Khaki and Battleship Gray. 16 Person Locker is available in Khaki and Battleship Gray. Please specify color in comments section when ordering. FOB Shipping Point. Products may be subject to a steel surcharge. 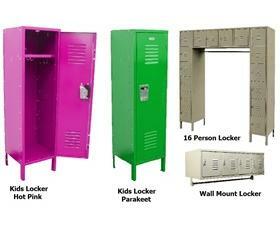 See Related Items tab for Corridor Lockers and Corridor Lockers - Optional Accessories.